Richmond-Callaham Funeral Home at Inez, Ky.
Ruth Marcum Thornton, 80, of Kermit, West Virginia, passed away at home July 27, 2016, after a lingering illness. Ruth was born August 14, 1935, at Tomahawk, Kentucky, to the late Virgil and Dixie Williamson Marcum. She is survived by her husband of 61 years, Byron Windy Thornton Jr.; two daughters: Elaine Endicott (Dr. J.W.) of Kermit and Leslye Thornton of Winston-Salem, N.C.; two sons: B.W. Thornton III (Dr. Alice) of Lexington, Ky., and James Thornton (Karon) of Raleigh, N.C.; eight grandchildren: Dr. Elizabeth and Katherine Endicott of Huntington, Matthew, Zachary and Benjamin Thornton of Lexington, and Madeline, Sam and Clay Thornton of Raleigh. Ruth is also survived by one brother, Dr. C.L. Marcum (Rita) of Missoula, Mont., and special niece, Tammy Gartner (Randy) of Vancouver, Wash.
Ruth was a graduate of Kermit High School and Marshall University, where she received her degree in Elementary Education. She was a member of the Alpha Xi Delta Sorority. Ruth worked alongside her husband as co-owner of Thorntons Department Store in Kermit. Ruth and Byron were married November 24, 1954, at Kermit United Methodist Church. The couple went on to spend 18 months in Germany where Byron was serving with the U.S. Army, residing with a German family in Weinheim, Germany and traveling to various locations throughout Europe. Ruth was a woman of strong Christian faith and member of Kermit United Methodist Church where she served in many leadership roles, including Children's Sunday School Superintendent, Director of Vacation Bible School and President of Kermit United Methodist Women. Ruth was a leader in many community activities in the Kermit area. She was especially passionate about promoting outreach and activities for children. Most notably, she founded and led the Kermit Chapter of the Girl Scouts of America. Throughout her work with the Girls Scouts, she touched the lives of many young girls in the area and was awarded the highest honor of distinction for volunteer work from the Girl Scouts of America. Ruth was instrumental in fund raising activities to purchase uniforms for the newly formed Kermit High School Band. She served in a leadership position to establish the Kermit City Park. She served as a member of the Mingo County Library Board and volunteer for the Christian Help organization. More than anything, Ruth's greatest joy came from being loving wife, mother and grandmother Her spontaneous, bright smile and engaging personality spread joy to all who knew her. Visitation will be held from 6-9 p.m. Friday, July 29, at Richmond-Callaham Funeral Home at Inez, Ky., with additional visitation from noon-12:30 p.m. at Kermit United Methodist Church prior to funeral services. Funeral services will be conducted at 1 p.m. Saturday, July 30, at Kermit United Methodist Church, with Reverend Brad Davis officiating. Interment will follow at Mountain View Memory Gardens at Maher, W.Va. 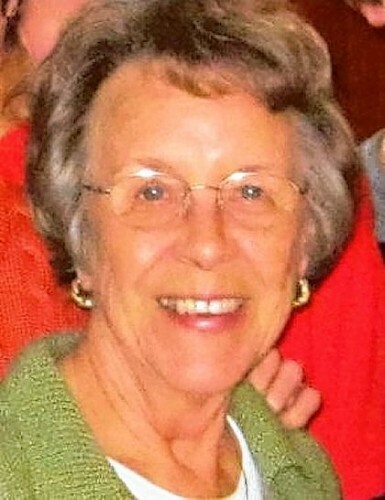 Donations may be made in memory of Ruth to Kermit United Methodist Church, P.O. Box 455, Kermit, WV 25674. Arrangements are under the direction of the Richmond-Callaham Funeral Home at Inez, Ky.